Without question, the Penguins find themselves mired in a funk. Since the Olympic break, they've posted a rather pedestrian 6-6-2 record and, worse yet, the club has gone 2-4-1 in its past seven contests. Thus, after cruising through the first three-quarters of the campaign, the Pens enter the stretch run submerged in a tailspin. No shortage of possible explanations exist for these sudden struggles. Maybe, for example, an absurd amount of injuries finally took a toll on the depleted squad. Perhaps a complacency eventually set in thanks to Pittsburgh's season-long stranglehold on the Metropolitan. Or, the recent lack of success could simply stem from an arduous stretch of the schedule serving as an uphill climb. Most likely, however, it's a combination of things. Ultimately, those injuries, that complacency and the tough schedule represent nothing more than excuses. And, for a team expected to perennially compete for the Stanley Cup, excuses aren't going to cut it. So, with only 10 games remaining before the "real" season begins, what are some of the Penguins' biggest issues? What will Pittsburgh need to overcome in order to right the ship and find postseason success? Prior to the Olympics, the Pens' special teams were second to none. Indeed, the circuit's top-ranked power play and penalty kill helped Pittsburgh cruise through the bulk of the season. The penalty kill and power play, however, have been an adventure in Western Pennsylvania over the last 14 games. The penalty kill, specifically, transformed from a strength to a weakness in the blink of an eye, surrendering nine power play tallies since February 27. Though the unit still ranks second in the league, the group has clearly struggled as of late. And, if the Penguins hope to find any success in the playoffs, that's something that must change. Meanwhile, a quick glance at the numbers wouldn't suggest significant issues with the man advantage. Since the Olympic break, the unit has clicked at 21.1%, providing the Pens with 12 markers in 14 games. If one delves deeper, though, it's not difficult to find some troubling trends. For starters, the power play has betrayed the club at some critical times. Last weekend against St. Louis, for instance, the group squandered a lengthy two-man advantage en route to going 0-5 in a 1-0 loss. What's more, the club went a combined 0-9 in a humbling home-and-home series against the hated Flyers a week earlier. Perhaps more alarming, the Penguins continue to surrender short-handed opportunities, many of which have ended up in the back of the Pittsburgh net. That can't continue if the Penguins hope to escape this rough patch. It's one thing to simply struggle on the power play but consistently surrendering short-handed markers provides a surefire recipe for defeat. 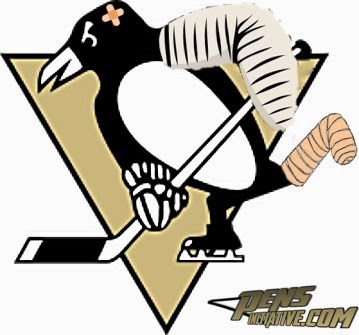 It's no secret the Penguins have dealt with a nearly unprecedented rash of injuries this year. In fact, the team has yet to enjoy a single contest at full strength in the 2013-'14 campaign. Not one. Not only has that plethora of injuries served to deplete the lineup but it's forced others to step up, to fill the skates of their injured teammates. As a result, fatigue could potentially come into play as the playoffs approach/wear on. Sidney Crosby, for example, logs more ice time this year than he ever has in his career. Matt Niskanen has embraced an enlarged role as an anchor on the blue line while Olli Maatta has already played more hockey this year than ever before. 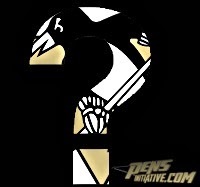 Will all that extra ice time ultimately impact any of the Pens key contributors? In the end, nobody will want to use fatigue as an excuse but it's certainly a potential development Dan Bylsma will want to monitor as the season winds down. Whether it's a function of the hectic schedule, some sort of complacency or something else entirely, Pittsburgh often appears lethargic as of late. Sure, the team put forth a spirited showing against St. Louis the other day but the Pens subsequently turned in a stale effort against the Coyotes, the kind of lackluster performance occurring all too frequently since the break. If the Pens can't find that suddenly elusive energy and enthusiasm soon, the club could find its season aboard a sinking ship. Because, ultimately, nobody can simply flip a switch that serves to take this team to the next level; that's something the Penguins need to work toward over the course of their final 10 games. Otherwise, the club might not have an opportunity to participate in many more as the postseason rolls on.